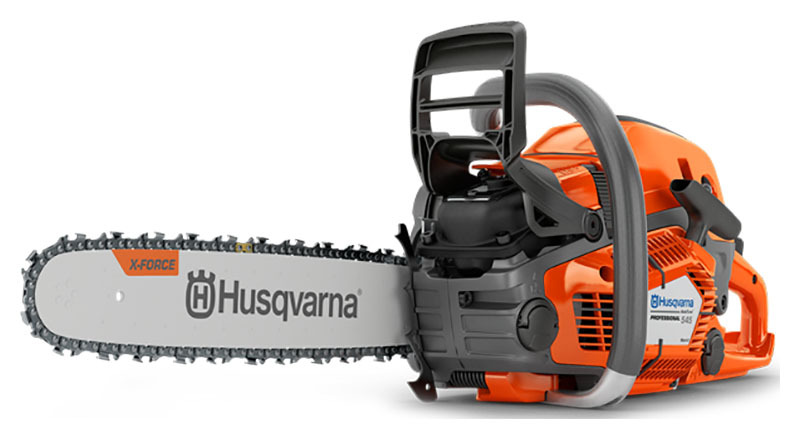 The second generation of Husqvarna’s 545 chainsaw is a 50cc unit that’s ready for felling, limbing and bucking of small and midsize trees. Designed for professional forestry and tree care crews, this durable saw has improved power and a slimmed-down design. A host of innovative features guarantee comfortable and efficient operation, season after season. RETAINED BAR NUTS: The retaining function prevents loosing the bar nuts. 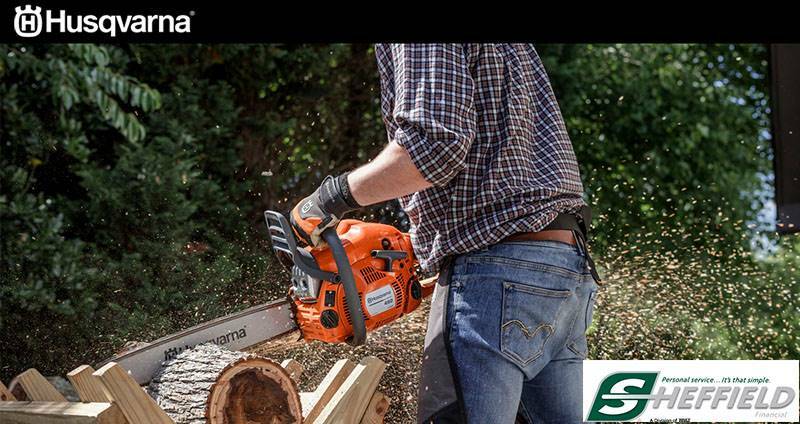 SLIMMED-DOWN DESIGN: Low, slender saw body makes the chainsaw easy and convenient to handle in any situation. ADJUSTABLE OIL PUMP: Allows you to control oil flow depending on application and weather conditions. MAGNESIUM CRANKCASE: Sturdily built crankcase withstands high rpms and tough professional use, ensuring a long service life. AUTOTUNE: AutoTune gives optimal engine performance throughout automatic engine setting. No time spent on carburetor adjustments. It compensates for different fuels, altitude, humidity, temperature and clogged air filter. EXCELLENT COOLING CAPACITY FOR A LONGER ENGINE LIFE: Our new cooling system is optimised in every detail to give you a reliable chainsaw for any situation. FELLING SIGHT TO LAST A LIFETIME: Perfect sight is critical when felling – so we made one that will outlast the chainsaw itself. AIR INJECTION®: Centrifugal air cleaning system removes larger dust and debris particles before reaching the air filter. This results in reduced air filter cleanings and improved engine life. VISIBLE FUEL LEVEL: Transparent fuel indicator makes it easy to check fuel level. SIDE-MOUNTED CHAIN TENSIONER: Easier access to chain tensioning device. SMART START®: The engine and starter have been designed so the machine starts quickly with minimum effort. THREE-PIECE CRANKSHAFT: Forged three-piece crankshaft for maximum durability for the toughest applications. EASY TO START: Combined start/stop switch and fuel pump make the saw very easy to start. RETAINED STARTER SCREWS: The retaining function prevents loosing the screws holding the starter. FLIP UP TANK CAPS: Easy to open and secure firmly, even when wearing thick winter gloves. Excluding cutting equipment - 11.7 lb. Recommended - 13 - 20 in. Electrode gap - 0.02 in.